It's no secret that I've never been one to be shy about food, but I've always had a hard time choosing a favorite dish. 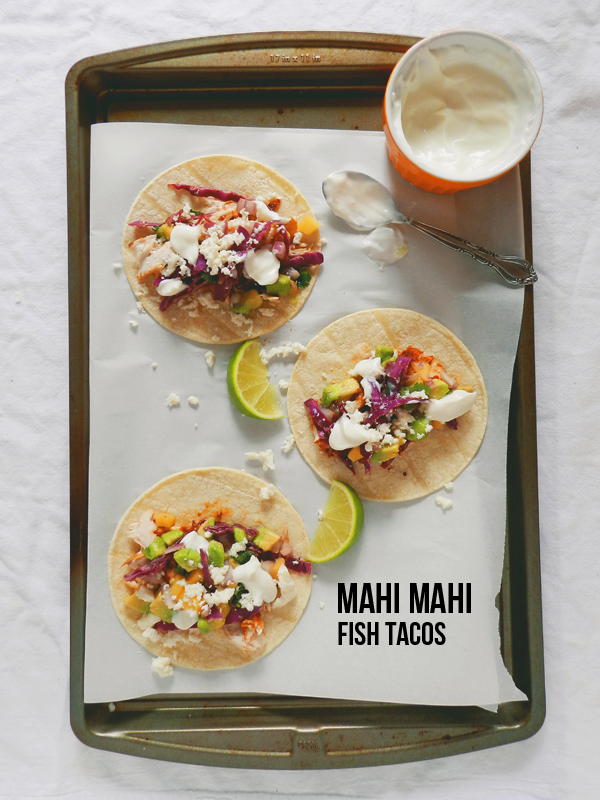 To be honest, there are too many to pick just one, but fish tacos rank pretty high up there. This was my first attempt at making them myself and I was ecstatic with the results. I couldn't find a recipe that fit exactly what I was looking for, so I combined bits and pieces from two recipes to create my own spin on this Summer staple. 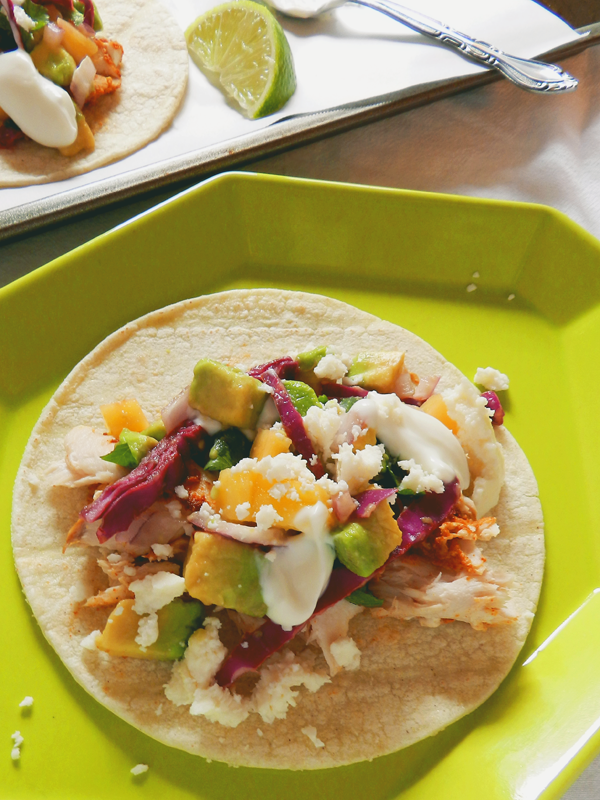 Although this weekend marks the end of Summer, I assure you these tacos will taste amazing all year round, but what are you waiting for? Seriously, go try these now. You can thank me later! 1. Season fish on both sides with salt and pepper. In a small bowl, combine paprika, cayenne, garlic powder and cumin. Sprinkle over fish on both sides. Heat 1 Tbs. oil in a grill pan on medium-high heat. Add half of the fish and cook until the edges are opaque, about 3 minutes. Flip and cook until fish flakes easily with fork, and is just ever-so-slightly translucent (it will finish cooking with the residual heat). Transfer fish to a plate and repeat with remaining fish. 2. To make cabbage slaw, toss all ingredients together in a large bowl. 3. To make crema, whisk all ingredients together and season to taste with salt. 4. 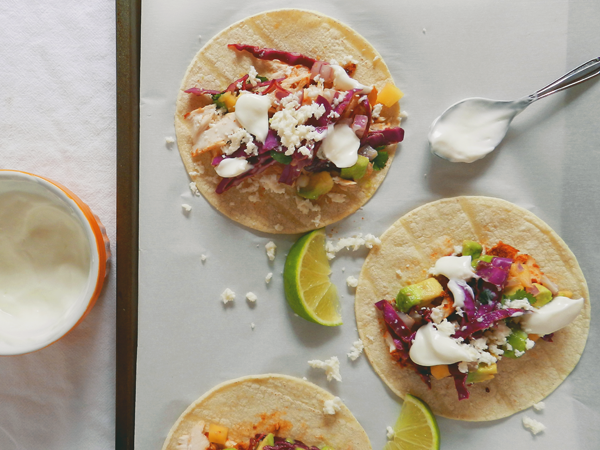 Assemble tacos by topping warm tortillas with fish, mango cabbage slaw and lime crema and enjoy! 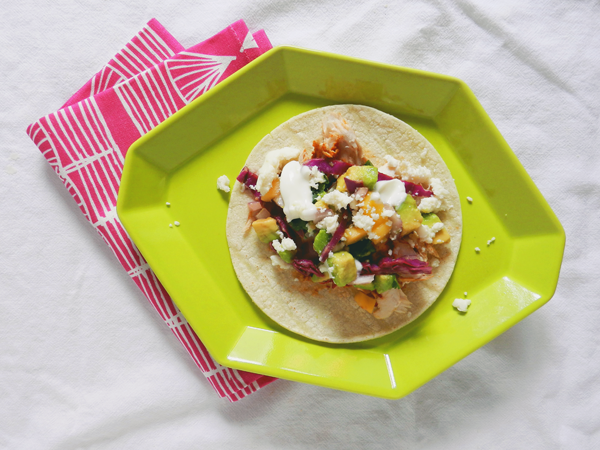 Photography design and styling by Jessica of SAS+ROSE, recipe adapted from here & here.